Inform yourself about the issues in the June 7 election. People in Ontario elect a new government on June 7. As registered nurses, nurse practitioners, and nursing students, it’s up to us to make sure important health issues are on the agenda. 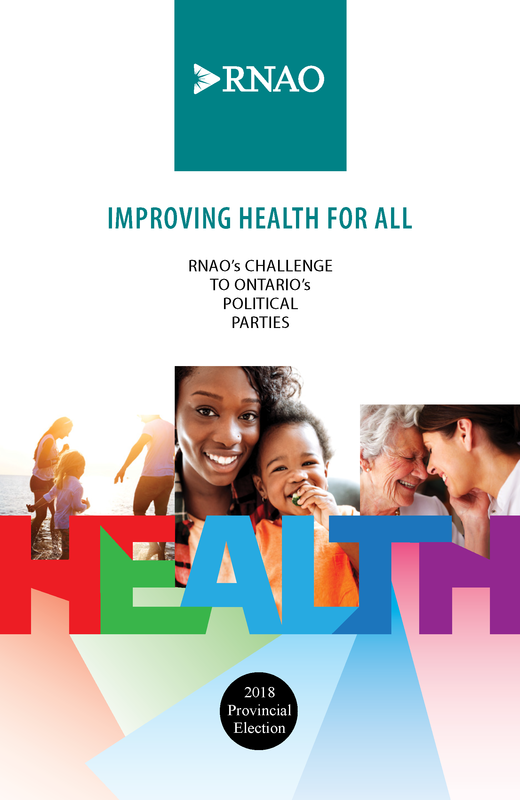 To guide you through this campaign, we have created a number of resources including our own policy platform, Improving Health for All. These policy priorities are based on extensive research. Read more about RNAO’s platform in the interactive graphic below. We also recommend voters examine the political platforms of each of the four political parties. We’ve created a platform comparison, which compares the various platforms of the parties with our asks. And, we’ve posted responses to key questions we asked the parties on health and social policy. We hope you find these helpful so you can make an informed choice when casting your vote. The platform is just one of many ways that nurses are speaking out during the election campaign. A series of all-candidate meetings are taking place across the province, with nurses leading spirited debates. RNs, NPs, and nursing students across the province are also taking part in our annual Take Your Politician to Work event, to show Ontario’s political leaders the important work that our province’s nurses do every day.